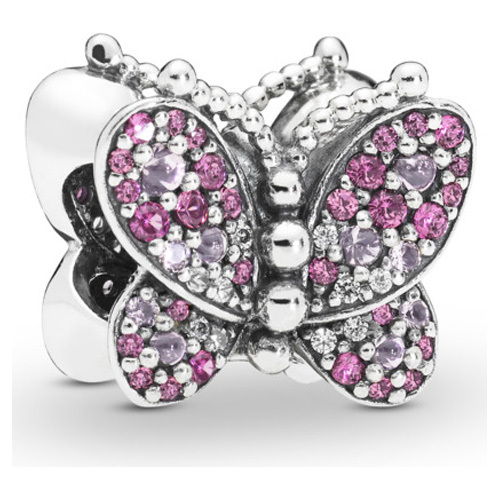 Bring added dimension to bracelets with this dazzling charm in sterling silver. 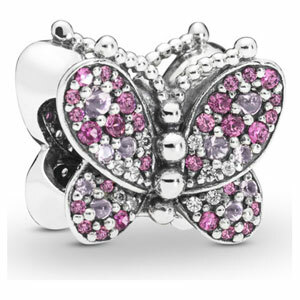 Set with tonal pink crystals and clear stones, the beauty of the butterfly bursts to life. The body is made from delicate beads.